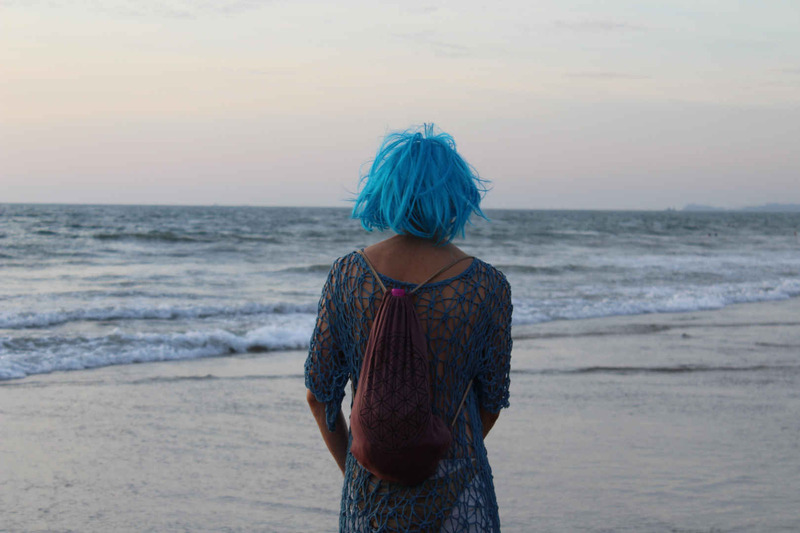 There’s never a dull day in the hippie coastal village of Arambol in Goa, India. Here is my essential list of the most unique places to visit and the best things to do in Arambol beach, Goa. 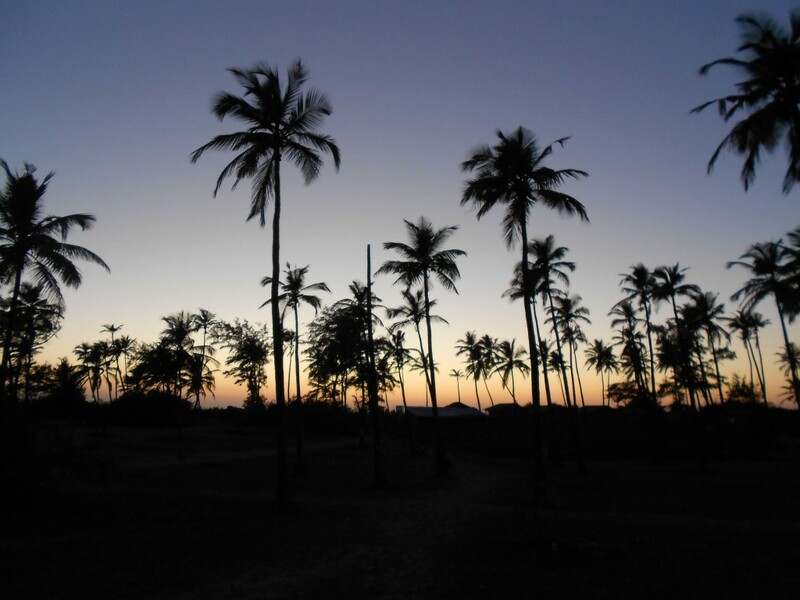 A popular hippie beach destination since the 1960s, Arambol is still a laid-back place to be and full of surprises. On a walk around the village, you will see flyers and posters for countless courses, workshops and festivals. Here, you’re not limited to lazing on the beach or hanging out in a bar. 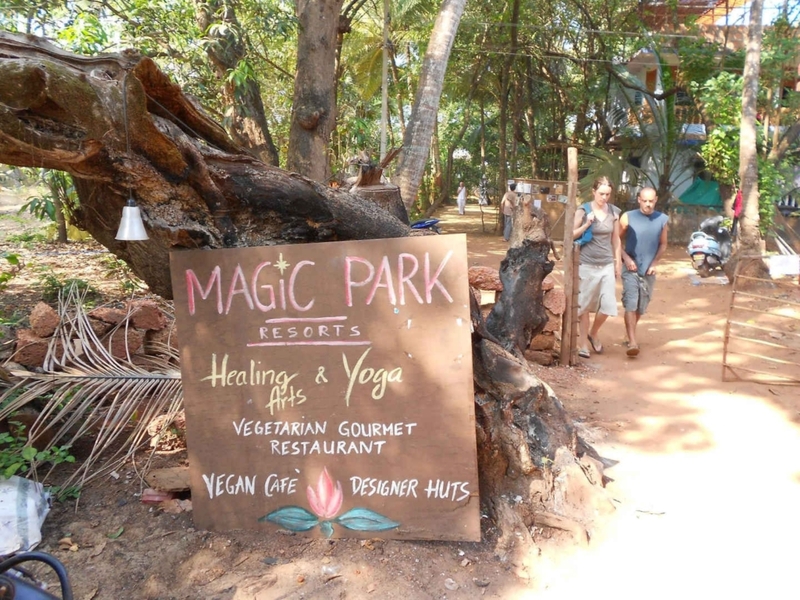 Many of these workshops take place at yoga centres and cafés near Arambol beach, such as Magic Park and Blue Pyramid. Just follow the posters, signs and flyers to see what catches your eye, and give it a try. It could be learning Ayurveda, belly dancing or even one that I saw advertised called ‘laugh power: the funniest interactive workshop on planet earth’. I tried an ‘ecstatic dance’ class at Blue Pyramid, which basically means you get to dance around barefoot like a loon for a couple of hours, with a load of other people doing the same. 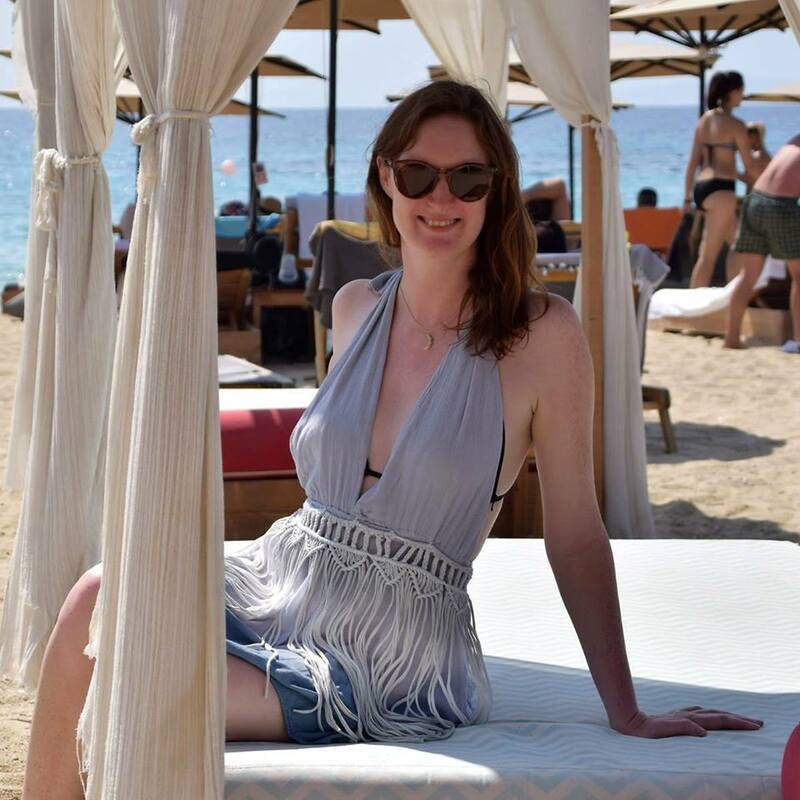 Once you get past feeling self-conscious, it becomes a lot of fun, indeed cathartic and the ultimate ice breaker to meet others, especially if you are travelling solo in Goa. This was an open evening to mark the start of the Heart Festival, a week of sessions encouraging awareness and connection with other people. 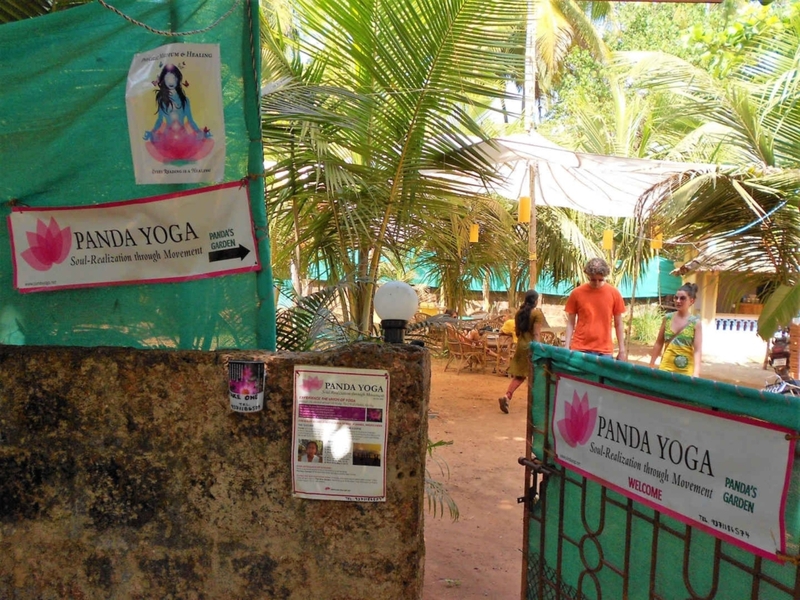 India is the home of yoga, so on my visit to Arambol, Goa I was keen to try yoga and meditation. 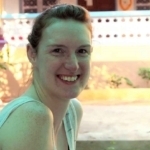 When researching my solo trip to Goa, I found a ten-day course in Arambol offering ‘soul realisation through movement’, which intrigued me. The course has been created by Panda Chi, a Vancouver-born man of Chinese descent, who has been a tai chi practitioner and learning from a range of spiritual teachers for over 40 years. Panda blends the philosophy, practice and principles and tai chi, chi kung and chakra healing to allow you to clear away any emotional baggage and be truly present in the moment. It really helped me. He teaches his system around the world and always returns to Arambol for a few months during the main tourist season. The serene space, named Panda’s Garden, is a marquee-type construction set in gardens a few metres back from Arambol’s busy main road. It is so tranquil it feels like a million miles away. To find out more, read my post about my experience on Panda’s course here. 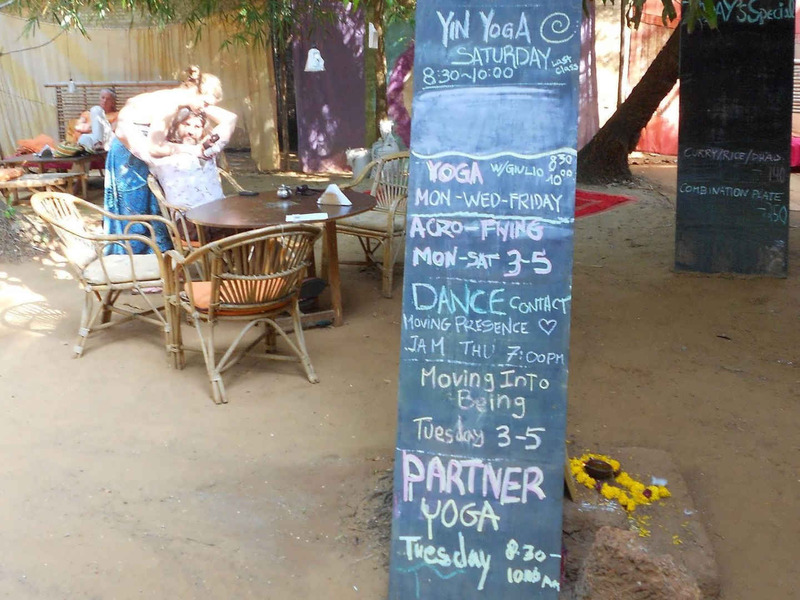 If you’re interested in yoga teacher training, there are plenty of places in Arambol. 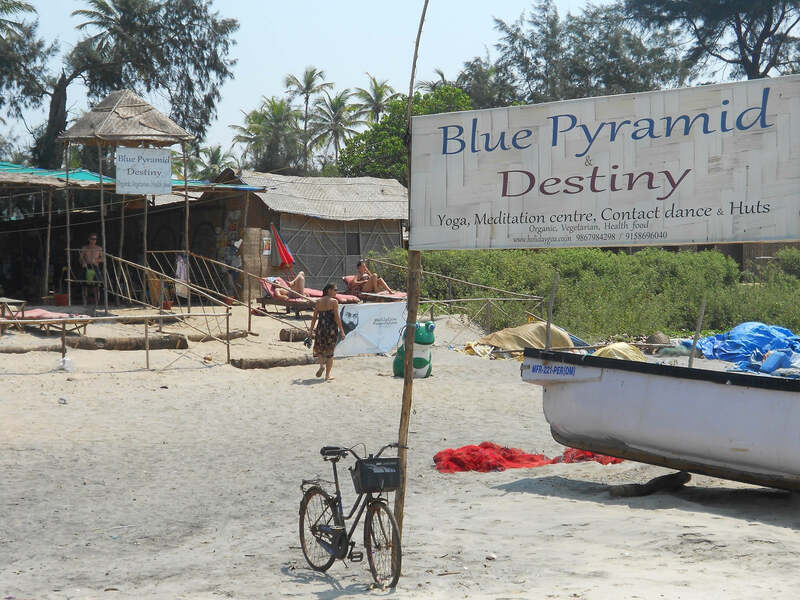 The Universal Yoga Center, located right on Arambol beach, is highly rated. The school is run by Vijay Amar, who has been teaching yoga for over 25 years and practicing yoga for more than 45 years. As well as 200, 300 and 500 hour teacher training courses, it offers six-day courses and drop-in classes for ashtanga and hatha yoga. Discover the world’s best yoga studios for when you’re travelling. Arambol is full of music. From people jamming on guitars in chilled cafés, to live performances and open mic nights at venues across town, and beachfront bars with heavy trance beats for the night owls. Every day and night there are tunes emanating from across the village. If you haven’t heard of the hang – a beautifully melancholy-sounding instrument, which looks a bit like a miniature spacecraft or an inverted steel drum – you are sure to find one being played somewhere in the village. 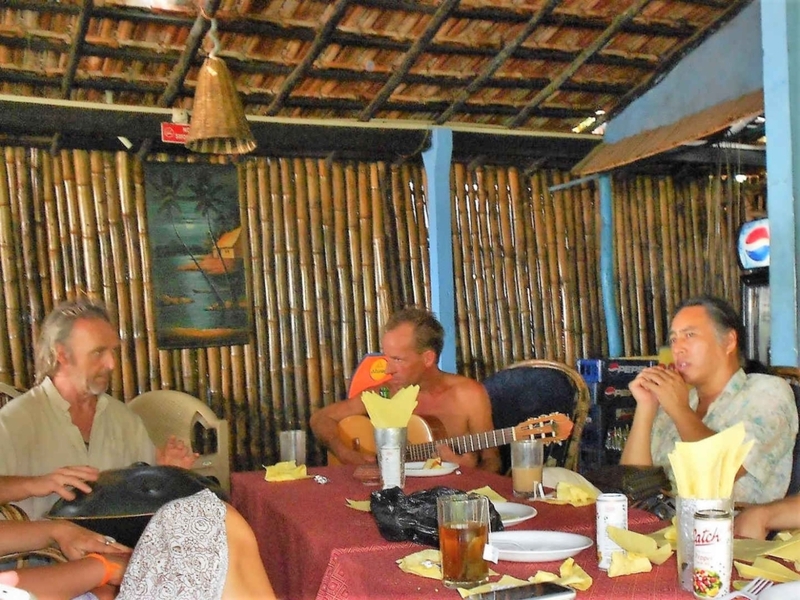 While I was in Arambol, the town was abuzz about a visit by world fusion music pioneer Prem Joshua and his band. He performed at a specially constructed concert venue in the coconut grove behind the beach. 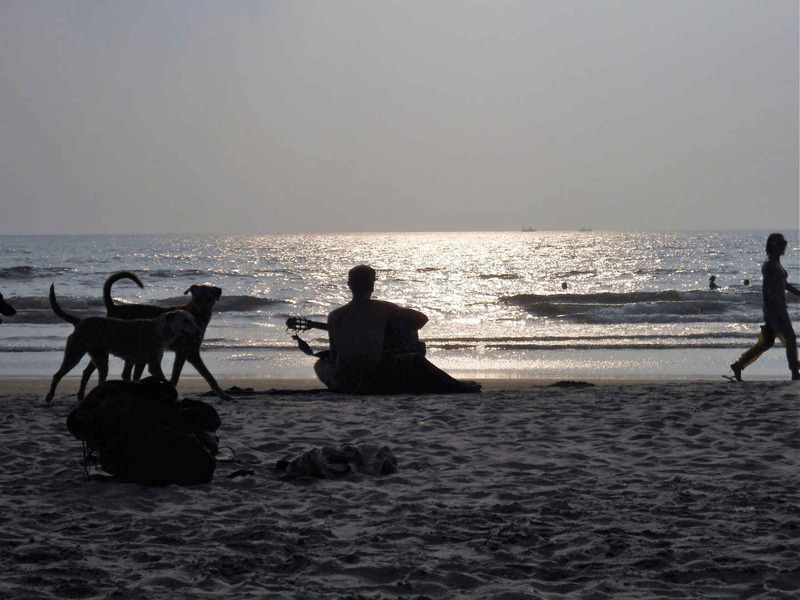 Every evening as the sun goes down, people from around the world gather on Arambol beach. A small drum circle steadily turns into a party, with strangers joining in to play instruments and dance freestyle to the tribal beats. Everyone is welcome. It’s a rousing experience and a special way to mark the end of another remarkable day in Arambol. 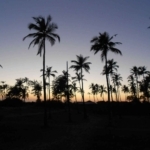 Check out the full details of Arambol’s awesome sunset beach parties. Arambol welcomes friendly, open people, from regions from Europe to Israel. 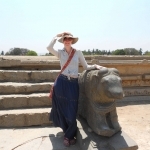 There are solo travellers like me, parents with toddlers and groups of young sun-seekers. Elderly retirees are also here, to escape the colder climes. You’ll find hippies, punks and – as with many beach resorts – at least one middle-aged guy parading around on the beach wearing tiny Speedos, which leave little to the imagination. On my first evening here, I was invited to join dinner with an organisation called Balanced View. Another night, I was invited to join an open-air movie screening at the home of a young British couple. This was a really nice chilled evening, though we had to be careful of the bats hanging from the tall trees above us, in case of any unexpected bowel movements! Another afternoon, I mentioned that I fancied doing some painting. A friend introduced me to Maria, who was just starting a group art class at her home and she invited me to join – it couldn’t have been better timed. The people here are warm and generous, and everything just seems to flow. Arambol is an infectious place. Once you have caught the bug, you are likely to return. Many people come back to this special North Goa town, year after year, to be welcomed back by the guest house owners who remember you by name. I am yet another happy victim. Now, read my comprehensive guide to solo female travel in Goa, here.